In order to meet the needs of the local textile industry, a waterway link between the mining region and the North Sea was first envisaged in the early 19th century. To make this possible, the project included the creation of an underground canal passage at the "Montagne de Croix" (Croix Mountain). This project had to be abandoned in 1831 for technical reasons, leaving the Barbieux passage completely redundant. In 1863, inspired by the project put forward by the landscape designer Barillet-Deschamps, the town of Roubaix decided to make use of the site with the creation of an undulating park, criss-crossed by streams, ponds and waterfalls. This park (listed on January 26th 1994) is considered to be one of the finest urban parks in France. 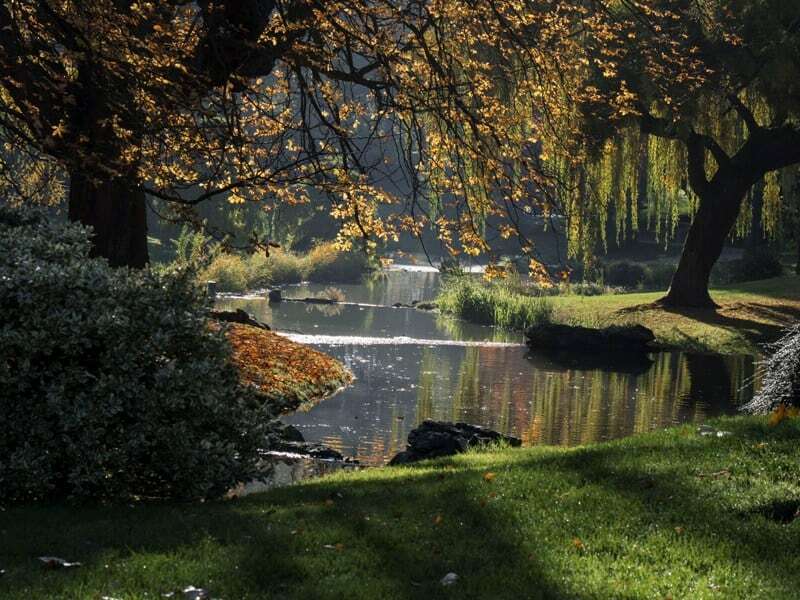 Covering an area of 35 hectares and planted with several rare species, the Parc de Barbieux has become a popular place to walk and a highly sought-after residential area, much loved by the town's wealthy industrialists.